Dushanbe (till 1929 – Dyushambe, till 1961 - Stalinabad) – is the capital of the country, located in Gissar valley in the South of Tajikistan. The climate in Dushanbe is continental, dry and hot in summer, and damp and cool in winter. The Dushanbinka river (Dushanbe-Darya, Varzob) flows through the city, it feeds a man-made lake Komsomolskoe in the center of the city. Varzob Gorge is in the north of the city – numerous recreation areas are situated in it. Dushanbe arose on the place of the village and got the city status in 1925. In 1929 it became the capital of young Tajik SSR and was renamed in Stalinabad. In the same year the railroad construction was completed, and it increased the further growth of the capital. In 1961 the city was renamed in Dushanbe, and in 1991 after the breakup of the USSR, it became the capital of the independent Tajikistan. Dushanbe – is the transport and industrial center on textile manufacture, electrical equipment and provisions, as well as building materials (cement, integrated house-building factories). Mechanical engineering and metalworking, light industry (cotton, silk, leather and footwear, clothing), food-processing industries are highly developed here. 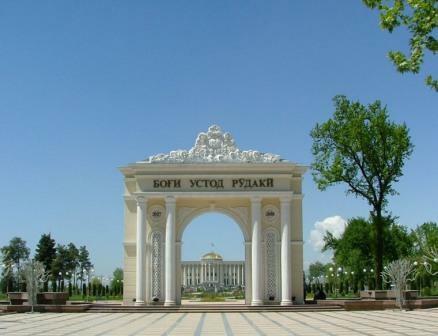 The capital has the Academy of Sciences of Tajikistan, 8 universities (including the Tajik University, which was opened in 1948), 6 theaters (including Tajik Opera and Ballet Theater) and several museums: Museum of Local history and Fine Arts, ethnographic museum, museum of literature after Aini and M. Tursunzade. From the point of view of the architecture, the buildings of Opera and Ballet Theater after Aini (1939-1946) and the computer centre (1976) are of great interest. It is a very green city, almost completely created by human hands in the foothill zone. The streets of modern houses were built taking into account the seismic activity of these places. They beautifully stretch over the slopes of the surrounding mountains. Dushanbe is one of the highest capitals in the world and one of the largest cultural centers in Asia. 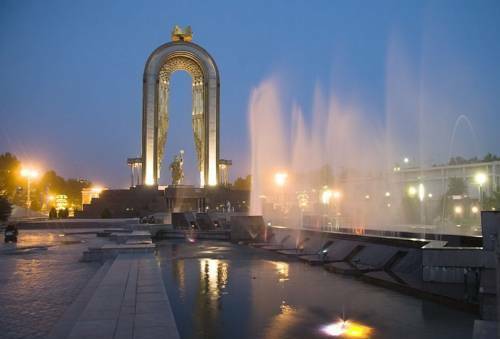 The monument of Ismoil Somoni in the Ozodi square, the monument of Abuali ibn Sino, Sadriddin Aini Mausoleum, Rudaki avenue, City park, the Library after Firdousi, Opera and Ballet Theatre after S. Aini, Choykhona “Rokhat”, Rudaki monument, the historical museum (the best one in Asia at the same time!!) and the monument of Sadriddin Aini are the places of interest of the city. The ethnographic museum is a real “showcase” of the Tajik art with the impressive exposition of the brown ware, carpets, jewelry and musical instrument of all historical epochs of Tajikistan. Tajik United Museum holds interesting exhibitions on history, science and art of this country. The large indoor market Barakat is the centre of the business activity of the capital, a typical eastern bazaar with all characteristic attributes in that case.